spacious pool deck while seagulls grace the vibrant blue skies. vacation rental is your ultimate secluded tropical destination. Inspected and licensed by the Village of Islmorada. This condo is our home every couple months throughout the year. When we completely rennovated our condo we designed it as our home that we would occasionally rent, instead of being a rental home that we would rarely visit. We think that we are in the best location in the Keys. It is a great family area with lots of restaurants, stores and the best marina access to the ocean and back country. Accommodations: Completely remodeled Fall 2011. 2 bedroom, 2 bath. Legal occupancy limit is 4 adults and 2 children under 7 years of age. Pack n Play crib & highchair. Modern Living room with sleeper sofa and balcony. Master bedroom with King bed. Guest bedroom with Queen bed. Full kitchen with breakfast bar and separate dining room. 105 Channel Cable, High Definition TV w/ Showtime, DVD/blueray. Stereo with CD and iPod receiver. Central air/heat. Wireless broadband computer access and printer in this unit. Elevator access. Washer/dryer room on each floor. Sunbathing and swimming. Tennis, basketball. Concrete boat ramp in our own marina. Deep water protected boat slip. I enjoyed my stay at Futura Yacht Club. I followed the instructions sent to me by Robert and everything worked out. There was lots of toiletries and anything you could think of. The only thing I wished for was a TV in the bedroom. Really nice place to relax and enjoy the Keys. Faultless handover process with gate entry, door locks, etc. Looking forward to going back! Thank you for your nice review! We look forward to your next visit to our home in the Keys! Honestly it was perfect. They keep the unit beautiful and we can't wait to return!!!! Thank you for your review! It would be great to have you back again! We base our vacation on the availability of this condo. The owner is fantastic to deal with. Always response to any questions you might have quickly. Extremely clean and updated. Our home away from home! The only place we would stay at. Thank you very much for your review! Great guests deserve a great condo and we always try to provide that for you! We had a very nice stay in this second floor condo. The building is an older building with the unit nicely remodeled on the inside. The owner was very accommodating. We had a couple of maintenance issues while we were there, but they were taken care of efficiently. We spent most of our time diving and this was close to our shop in Islamorada. I would definitely recommend this unit and owner to anyone looking in this area. It was unfortunate that our newer A/C unit died during your stay. We were happy we were able to move you into our bay front townhouse still in Futura Yacht Club to minimize your inconvenience from this unexpected failure. The new A/C system was installed in the condo just after your trip ended, but it is all ready for your next Keys diving trip! A perfect week in the Keys !!!!! Sorry it took so long to add another stellar review. As always we had an amazing time this year in the Keys. Your condo is absolutely the best and we could not ask for a better place to stay. We brought friends with us this year and they too were extremely impressed with the stay. They said they would also be back to visit and stay in your condo. Everything was as perfect as the first time we visited Futura Yacht Club. 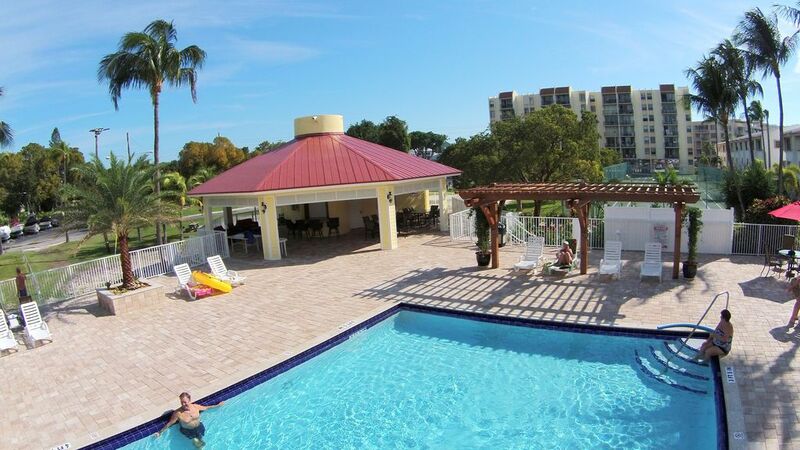 If you are looking for the perfect accommodations to make your stay in the Keys awesome, you do not want to pass this one up. I also enjoyed meeting you in person this year. It was a true pleasure. Thank you again for allowing us to take part and being able to enjoy your condo. I wish there was a rating of 10 stars. Wow! Thank you so much for your review! It is always such a pleasure to have you stay at our condo. It's great when guests love it as much as we do! There are enough activities in the Florida Keys to last a lifetime! you up with a boat rental for the week also.